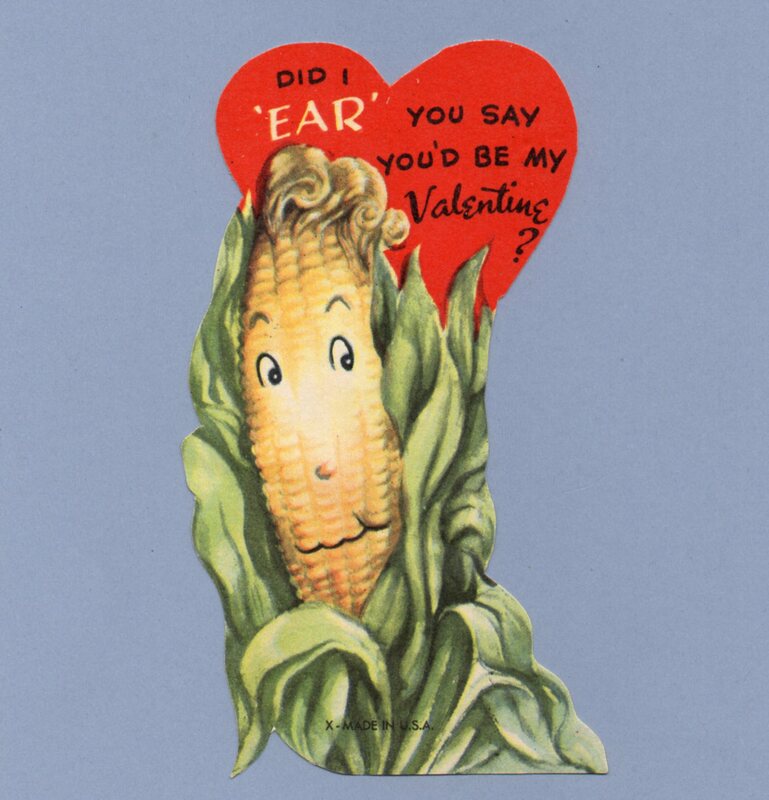 Did I EAR You Say You'd be My Valentine? marked: x -made in U.S.A.
You're getting under my skin, My Valentine. Of CORE-se you're the APPLE of my eye! And that's no APPLESAUCE! Valentine You're EGG-actly what I want. 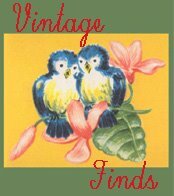 Now be a GOOD EGG and be my Valentine. I'd be BERRY happy to PEAR off with YOU VALENTINE! 'Lo Sugar! 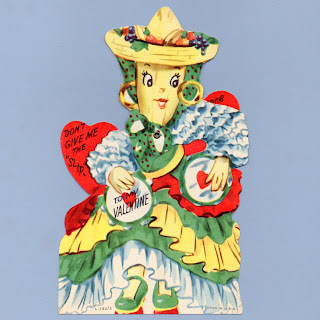 Be my Valentine! I'm PIE-ning for you Valentine. Be Mine. You ApPEAL to me. Be my Valentine. You suit me to a TEA Valentine. 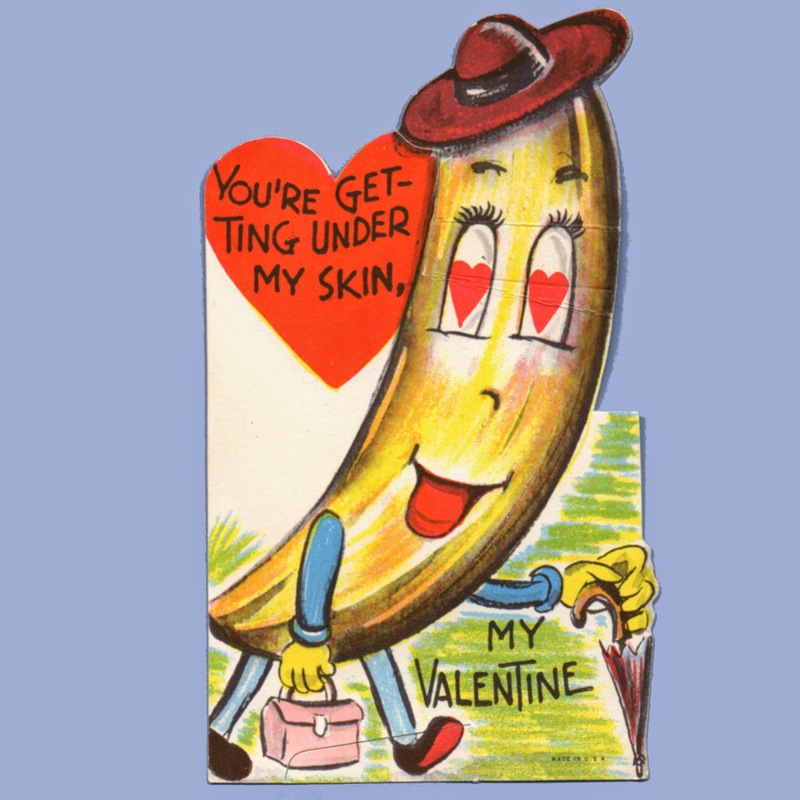 To my Valentine Don't give me the SLIP I've gone BANANAS over you. You're the BERRIES Honey! I want you for my Valentine. I've asked you lots of times ONION never say "Yes"
I YAM crazy about you, Valentine! Won't you be my Sweet Patootie? 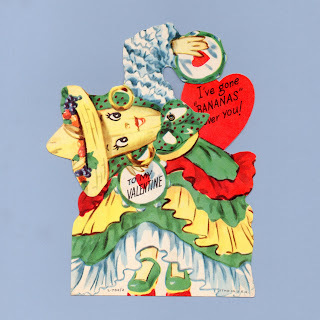 I love vintage Valentine's that either feature a juicer and/or talking about squeezing citrus fruit. I have quite a few and they look great displayed together.